I LOVED this book possibly more than the first. 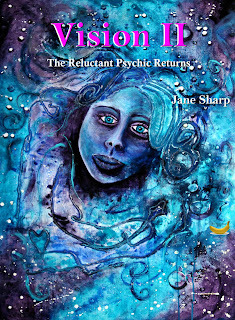 The short stories are easy to read and Vision II: The Reluctant Psychic Returns takes the reader on a great journey. Even though I know the main characters of the books, each of the short stories can stand alone but written so that they can be read one after the other in a way that does not detract from the continuing storyline. The way the author is developing the character of Trudy Harper and her special abilities gives a greater range of how her physic gift aids in each case. You never know what is coming up next and I look forward to the next book. Keep up the great work Jane. Trudy Harper, did you say?